Hillary Clinton spoke in New York on Tuesday night. 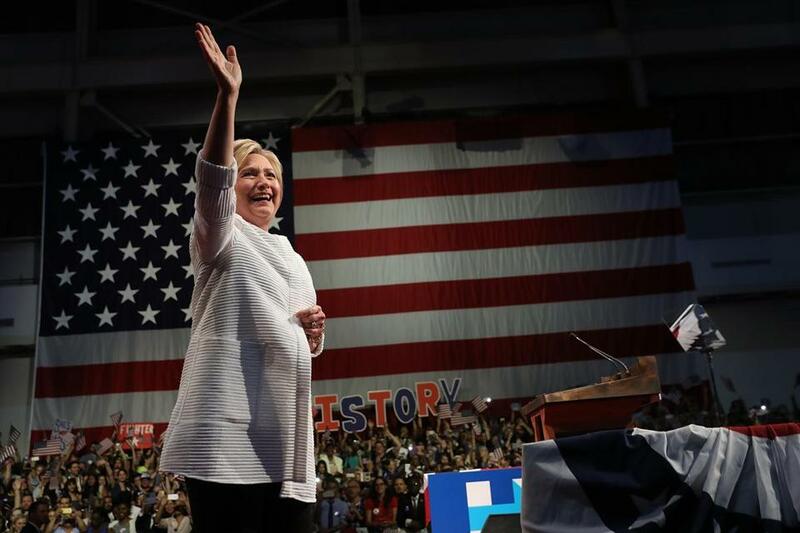 WASHINGTON — Now that she has wrapped up the Democratic presidential nomination, Hillary Clinton is poised to receive timely political help from the current occupant of the Oval Office and Massachusetts Senator Elizabeth Warren. President Obama and Warren will play key roles as healers of the rifts in the Democratic Party and serve as prominent Donald Trump debunkers when they come off the sidelines and endorse Clinton. Warren has long said she would endorse someone in the Democratic primary contest, but she waited until after Clinton had clinched the nomination to signal that she would definitely back the first woman in US history to serve as a presidential nominee of a major party. Two Warren advisers said Wednesday that Warren intends to endorse Clinton but that timing and the form of the public announcement have not been determined. Her support promises to give Clinton a big credibility boost among liberals who backed Vermont Senator Bernie Sanders by wide margins in the primary and who also adore the Massachusetts senator. Warren also is intrigued by the possibility that she could be picked as Clinton’s vice president but is not sure that it makes sense for her, according to the two advisers, who spoke on condition of anonymity to discuss her plans freely. Reuters first confirmed Wednesday that Warren would indeed endorse Clinton. 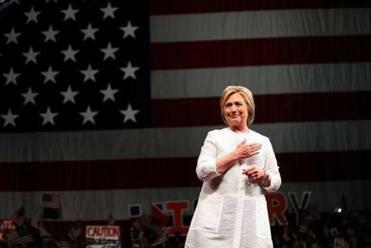 Hillary Clinton had kind words for rival Bernie Sanders, who vowed to remain in the race, as she claimed her spot as the presumptive Democratic nominee Tuesday night. Warren is ideologically closer to Sanders, but she is also a pragmatist: It’s been clear for months that Clinton would win the nomination because Sanders was unable to gain traction with minority voters who make up a large part of the Democratic electorate. Sanders has not conceded the race, and that means Warren must be careful. Coming out in support of Clinton too forcefully while Sanders supporters still believe he could somehow become the nominee at the Philadelphia convention in July could backfire and cause them to turn on Warren. Obama, with an array of potent attributes — including better voter approval ratings than both Clinton and Trump — also can help shepherd the millions of passionate voters who rallied to Sanders into the Clinton fold. Obama’s role as high-level mediator will be tested Thursday when he meets with Sanders at the White House. The president’s press secretary announced the meeting — which Sanders requested — late Tuesday after Clinton claimed the mantle of presumptive nominee in a speech before thousands of supporters, eight years to the day that she conceded the Democratic nomination to Obama. For Obama, being succeeded by a Democrat next January would be a capstone to his own eight years in office and would protect what he sees as his most important accomplishments — lifting the economy out of the direst recession since the Great Depression and passing landmark legislation expanding health care and overhauling the rules governing Wall Street. He rolled out a preview of his critique of Trump’s candidacy last week. “If we turn against each other based on divisions of race or religion, if we fall for a bunch of okie-doke just because it sounds funny or the tweets are provocative, then we’re not going to build on the progress that we’ve started,” Obama said in Elkhart, Ind., a solidly Republican congressional district. Obama obviously “has a huge vested interest in the progress we’ve made over the last eight years,” said a person familiar with the president’s thinking. The other obvious point is the stature a sitting president brings to the campaign trail — something the Republican nominee can’t match. Obama will serve as a powerful validator, telling voters that Clinton is up to being commander in chief, Clinton and Obama allies say. Obama will be out there highlighting the stiff challenges of the job “and how the nominees measure up to what it takes,” said the person familiar with Obama’s thinking. The refrain coming from Clinton and Obama camps Wednesday was that Sanders needed to be given the space to end his primary bid on his own terms, which the Vermont independent said Tuesday included fighting for every vote in the last primary election of the season, the Washington D.C., June 14 contest. “It’s clear we know who the nominee is going to be. I think we should be a little graceful and give him the opportunity to decide on his own,” Vice President Joe Biden said of Sanders on CNN. When Sanders does step aside and Obama is free to hit the trail, political observers and insiders say he brings a uniquely potent mix of strengths. “He has popularity and extraordinary talent [campaigning] . . . and he is zeroed in on the voters Hillary needs most,” said Democratic strategist and former Bill Clinton aide Paul Begala, who advises pro-Clinton super PAC Priorities USA Action. “Sanders voters are critical,” he said, and they overlap significantly with Obama’s base of voters — namely younger liberals, particularly young men, especially white ones. Obama’s popularity could suffer if the economy were to slide into a recession, or if he were challenged by a world crisis or terror attack. But since March, Obama’s favorability ratings have hovered around 50 percent — making him far more popular than either party’s presidential candidate. Political scientists say past evidence shows there’s a strong link between an incumbent president’s approval rating and the success of that same party’s candidate in open seat elections such as this year’s contest. “Presidential elections are always to some extent a referendum on the incumbent president, even when the incumbent is not running,” said Alan Abramowitz, a political science professor at Emory University. And the extremely divided nature of US voters means that Obama’s 50 percent approval rating translates to something like 90 percent approval among Democrats and Democratic-leaning independents, he said. “Obama should be very helpful to her at first in unifying the party after the primary is over, and that’s obviously the first challenge that she faces — and maybe the most important one really,” said Abramowitz. He said Obama can also help excite Democrats in crucial swing states such as Virginia, Ohio, Florida, and Colorado, where Clinton’s success could hinge on voter turnout. Obama and Warren aren’t the only important surrogates Clinton will be able to lean on in the months ahead. As former Obama speechwriter Jon Favreau put it in a recent blog post, “Clinton’s primary victory will allow her to assemble a Democratic Dream Team” that includes her husband, former president Bill Clinton, a skilled campaigner who has been dubbed “explainer in chief” for his ability to boil down the arguments for why voters should support a cause — a talent the former president deployed to help Obama win reelection in 2012. Obama’s endorsement will unleash Vice President Biden with his appeal to blue-collar voters. Warren has also shown herself skilled in the unique combat in which Trump engages, clashing with him on Twitter in ways that have heartened nervous Democrats. But many Democrats believe no one is quite as skilled as Obama when it comes to skewering the real estate mogul, pointing to his epic takedowns of Trump at several White House Correspondents Association annual dinners.